Brow Guru Shavata Singh has teamed up with Fashion Targets Breast Cancer to create a range of tweezers with a matching compact set to raise money to help fight breast cancer. Each product carries a 30% donation to Fashion Targets Breast Cancer!! 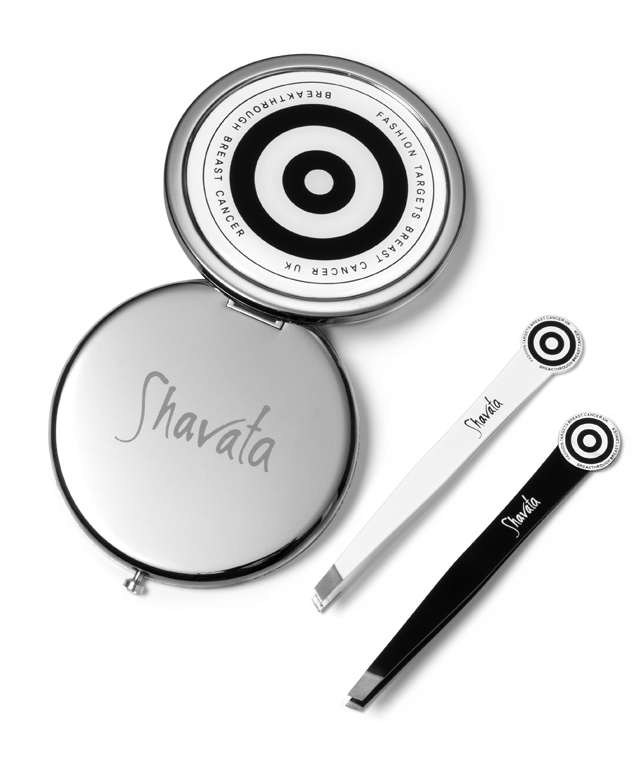 The range includes Shavata's FTBC tweezers in black or white £9.95 each and a stainless steal mirror compact £12.95 and they all carry the FTBC logo. The limited edition products launch at all Shavata Brow Studios 1st May but are available to pre-order here from 1st April (for delivery 1st May) for one month only!